Fantasy action brawlers are my kind of game. From old school turn based Might and Magic games to the top down brawlers in the Dungeons and Dragons universe and more recent entries like Skyrim, I really dig being thrown into Fantasy realms littered with goblins, mages, warriors, giants and every other manner of creature… it just tickles my fancy. 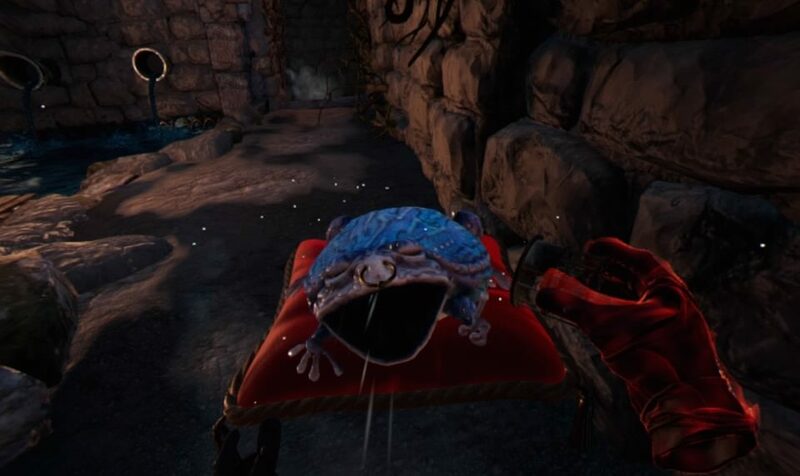 Being placed directly in these worlds thanks to the wonder that is virtual reality is wish fulfillment at its finest and The Mage’s Tale aims to deliver a classic fantasy experience in a gaming world we were introduced to in the non-VR game series ‘The Bard’s Tale’ only this time, you get to wield a lot more magic! Don’t let them get to close! Moves are your only options with a movement scheme reminiscent of Skyrim, tracking the angle of one of your Moves to walk in that direction and walking forwards or backwards in the direction you are looking. There are a few comfort settings available allowing your toggle teleportation and click turning, with the former being an option in the game regardless of your preferred method of travel. Spells are assigned to a sub menu that manifests before you by the press of the button and as you proceed through the campaign, you unlock more elemental spells which can be assigned to your magical menu. 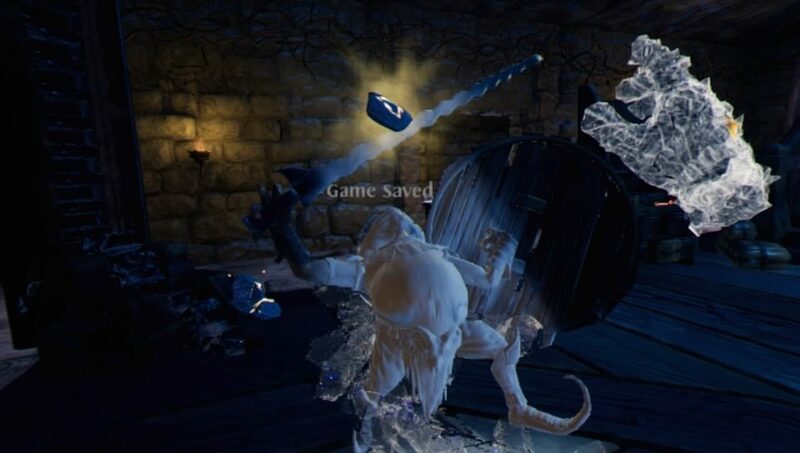 You can also summon a spectral shield that can block incoming attacks and comes in handy as the game’s difficulty increases. Should you want to modify a spell, you can go back to your main hub area at any time by raising your hand high and walking through the portal on the other end will bring you right back to where you left off. Your hub area allows you to create your found spells and lets you add modifiers, changing the color of the spell and adding a buff or 2 to them for increased effect like fireballs that seek out foes. Potions found throughout the game and in the pause menu must be drank to gain their benefits and navigate said menu, which is immersive, but a little excessive when it comes to wanting change a simple game setting and it’s very clear a lot of effort went into refining the gaming elements to near perfect polish. The stages all look great! Puzzles scattered throughout the game require you to push and pull levers or use specific spells at specific points to trigger them and offer some decent challenge without every being too hard. Magical spheres may need to be activated by a lightning spell or frozen pipes may need a little fire applied to them. Combat is handled by head tracking with you lining up a target in your sight whereupon a magical reticle appears around your target. Once you have locked on, your main hand holding a spell can now be used to toss whatever spell you have summoned, more often then not a fireball, their way until they are destroyed. 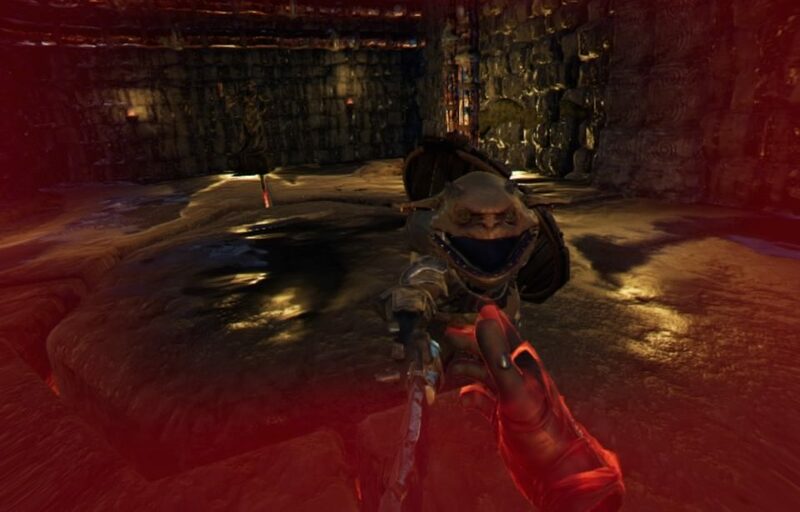 Given just how often throwing in VR can be an absolute mess, I enjoyed the simple yet still immersive way tossing spells is handled here. The game, though linear, has tons of secret areas to discover, typically with hidden items that elaborate on the campaign or bonus spell modifiers to help in you adventures. Every battle ends when you defeat all the enemies in the area, and you are rewarded with some magical stones. When you accrue enough stones, you level up. To see your current level, health and progress towards the next level, just check the back of your right hand, which has these details emblazoned upon it, or a book at your side. Leveling up allows you to pick from 2 new permanent buffs like increased health, armour, spell recharge rate and so on, making you feel a little more badass every time you advance. Mage’s Tale offers top quality visuals in an expansive and ever-changing world chalk full of all the fantasy tropes we have come to love. 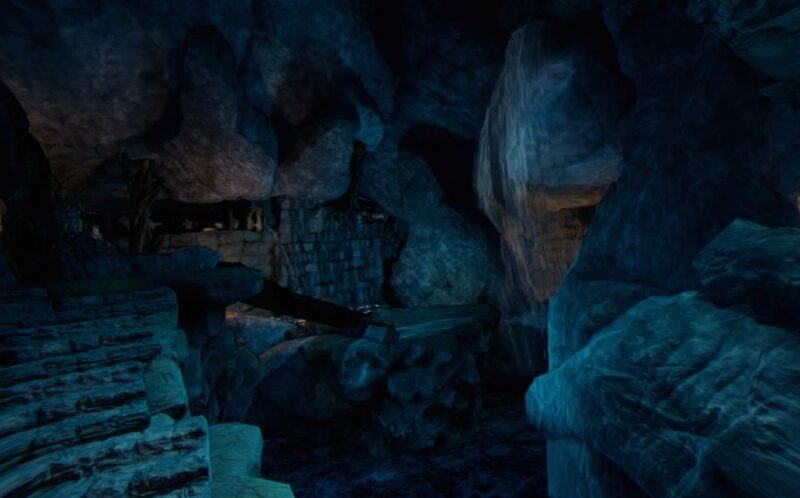 A bulk of the game takes place in caverns, dungeons and castles but have so many varying details and subtleties as to make every new area you come a upon feel fresh. Character models are ripe with details be it goblins, evil wizards, giants, or whatever else you run into with each having their own behavior system, letting you learn how each enemy acts and thus reacting and preparing accordingly. Some walls are dripping with water while others are just rubble or immaculate with giant statues and grand halls with torches lying about. You’ll encounter massive rooms full of ancient architecture and an underground water system just waiting to be frozen. Spells all look exactly as you’d want and its great fun to freeze enemies in place with your ice javelin or toss them off a cliff with a wind spell. The Mage’s Tale is really is a fantastic looking game and at the time of this review does not have Pro support, but the devs have promised that this coming soon and either way looks solid, if not a tad blurry at times. Sound design matches the visual quality with everything sounding as you would imagine. Your master’s goblin assistant aids you in your adventures and often derides your efforts, and intelligence, but offers up clues to help solve puzzles and an occasional compliment when you bypass an obstacle. Goblins shout out one-liners bemoaning your efforts or screaming they are going to kill you and I loved whenever any enemy offered up trash-talk as it added a great sense of realism. Music comes and goes throughout the game with perfect timing and placement and some classic style Celtic music plays during the loading screens, which do pop up a little to often, that I greatly appreciated even though it may not quite be what people would consider as being a classic fantasy score. The Mage’s Tale isn’t perfect, but I’ll be damned if it’s not trying to get there. I ran into a few collision detection issues in my travels, most notably on skinny stairs and when I was too close to a wall. I got stuck on a few stair flights during my game time and was forced to use the teleport mechanic to move along with environment collision being handled in one of the worst ways used, making your screen black. When your screen goes black, my natural reaction is to reverse whatever motion I made to lose sight in the first place, but on a few instances, I was forced to physically walk around my play space until I cleared the environment as that seemed to be the only way to circumvent this. It never broke my game and I always cleared whatever I got stuck in, but it did pop up a little to often during my quests. I also ran into a few issues with the tracking limitations of the PSVR, but these were few and far between and never really hindered my progress, though as you unlock more spell modifiers it can be a pain to grab the ingredients you want. Yup, that’s a giant behind your friend! 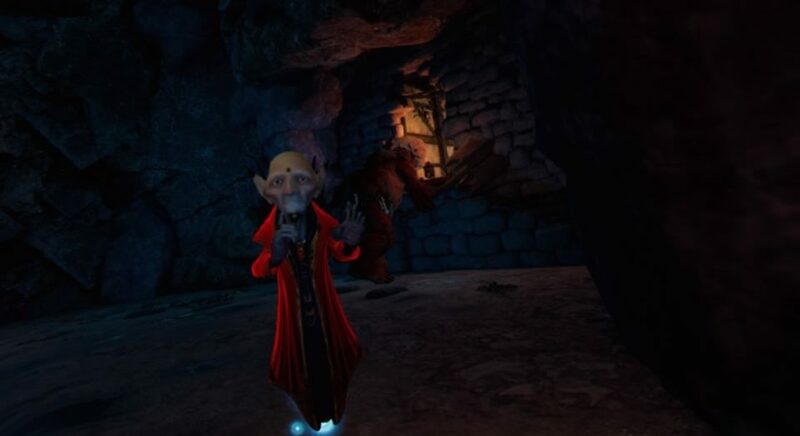 There are 10 stages to get through with a boss battle at the end of everyone one and with each stage taking roughly an hour to get through, The Mage’s Tale is one the lengthier campaign-based games in VR. There is an additional single-player arena/horde mode that let’s you battle against enemies found in the campaign and the overall package here makes this one of the most appealing games to every grace the PSVR, or any headset. The spellcasting is a bit simplistic, but the customizing of individual spells makes up for any shortcomings as does the fast-paced combat as you dodge incoming projectiles or defend against enemies armed for close quarters action. The Mage’s tale offers a fully fleshed out world with in depth mechanics and a ton of attention to detail and I am loving my time as a powerful wizard! What would I pay? The asking price for this is a paltry $30 and frankly raises the bar for content value. Any of the shortcomings I mentioned do little to hurt the game and the entire package feels like a AAA VR title. If you were on the fence about this one, I’m happy to say it delivers all that it needs to and a whole lot more! 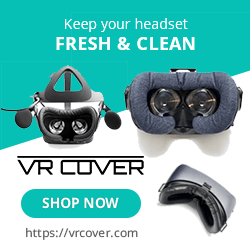 InXile Entertainment provided The VR Grid with a press code for this title and, regardless of this review, we thank them for that!